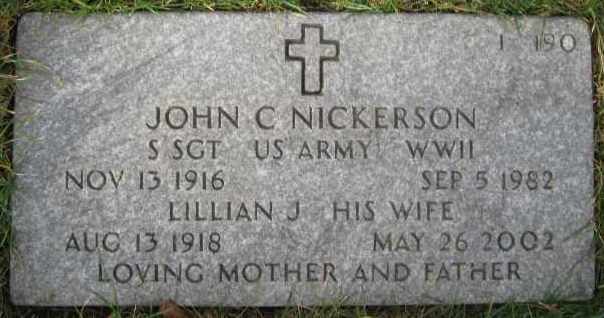 I received John Nickerson's Silver Star citation and what a citation it is............. You'll never guess but he was awarded the Citation on April 12th 1945 for retrieving 6 men wounded under fire and then knocking out two German machine guns........does this sound like the Barby attack to you. We are very lucky because his file was damaged in the fire in St Louis. You may be aware but there was a fire where all the records are held several years back. His file was reconstructed and we are lucky to get the citation. 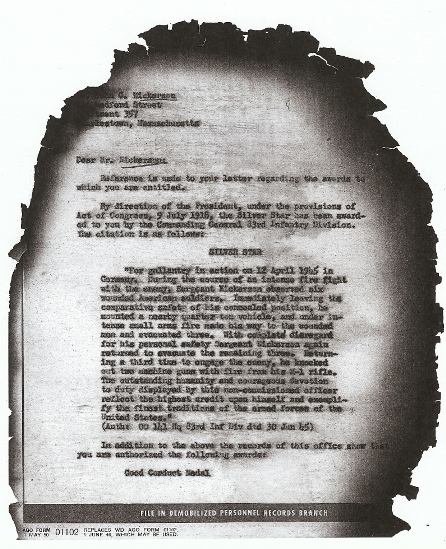 I attached the citation.....He was awarded the citation by the 83rd Division......which is normal for units such as Tank Destroyer Battalions that are attached to get the award from the attached division. This is quite a story if in fact he help get the men that were hit from the Barby attack.....and who knows maybe he help get William Ropple from his same hometown. Reference is made to your letter regarding the awards to which you are entitled. By direction of the President, under the provisions of act of Congress, 9 July 1018, the Silver Star has been awarded to you by the Commanding General 83rd Infantry Division. 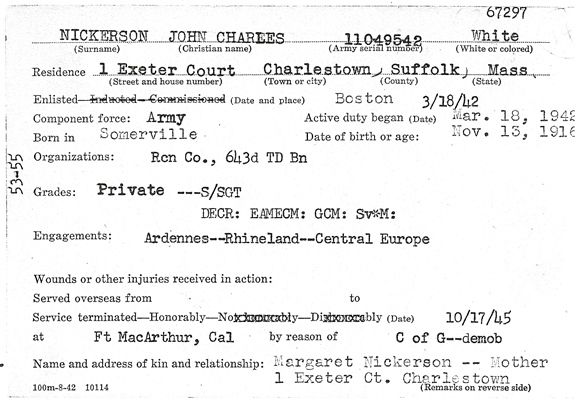 Information card about John Nickerson's Silver Star from the Massachusetts State Veterans Records. It lists Sv*M which means Silver Star.